Hi loves! A quick and easy post today - still so hot and sweaty here! 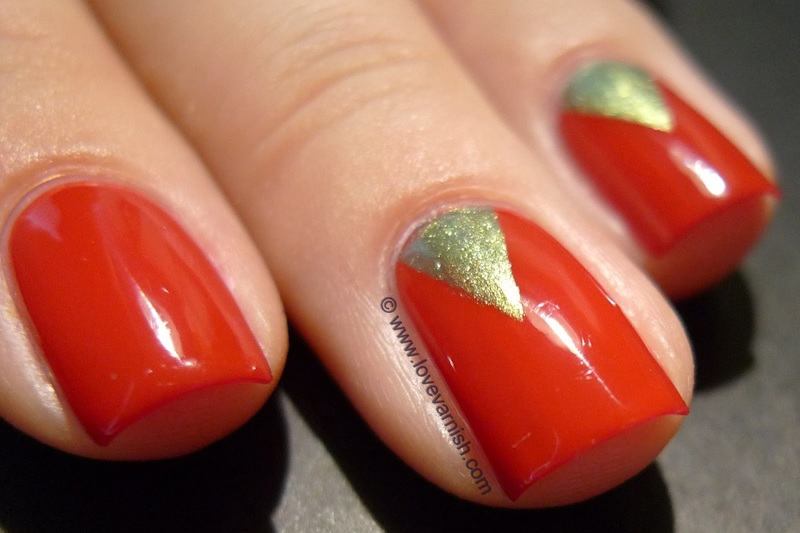 This is a manicure I wore last week. I suddenly felt the urge to wear a red creme polish and it had to be RED. A bold, in your face, true red. So I grabbed China Glaze With Love, which applies very easy in 2 creamy coats. After it dried, I taped off some triangle shapes and used Chanel Péridot for the little accents. It was very easy to do but I got quite a few compliments on these. I always love when my nails get noticed, makes me feel special LOL. 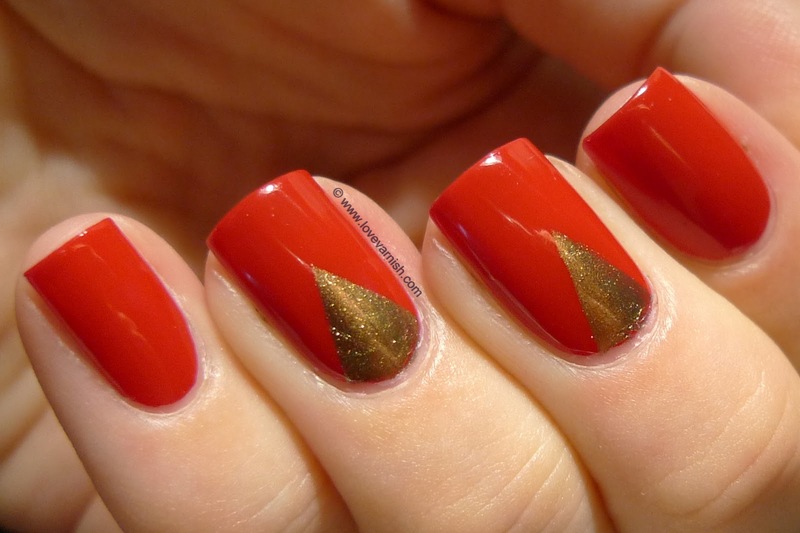 Red and gold, a perfect combo! What do you think of it? It's a very classy manicure! Great combo! 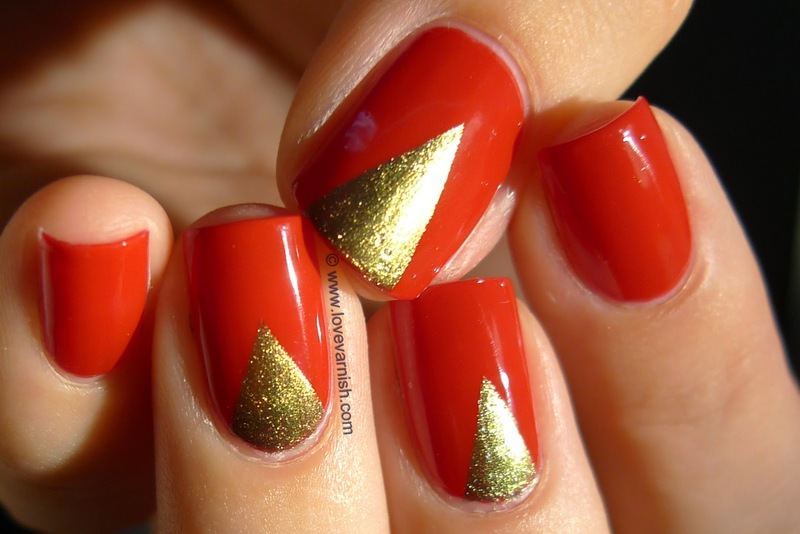 Love the triangles at the cuticle....I should try it! It is :D thanks Amanda! Aww thank you Sanela :). Thanks my dear! 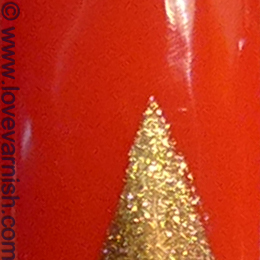 It is so easy and a great way to spice up a manicure :). Haha yeah sometimes it is a bit weird too - there is someone at work (a guy) that has quite an important job and has been noticing my nails, I think it is so funny when that happens but at the same time I can get shy about it.